Putting people and paint first: Seagulls paints the town red | West Leeds Dispatch | News. Views. Get involved! A west Leeds social enterprise which had humble beginnings in the kitchen of one of its founders is putting people and paint first. Seagulls, based off Kirkstall Road, was co-founded a decade ago by Burley residents Cat Pearson and Kate Moree, and spent the first four years being based in Kate’s kitchen. In case you didn’t know, it sells recycled and remixed paint that would otherwise be thrown away. Now it employs 15 people and is supported by a group of about 40 committed and passionate volunteers. “This was back in the day when residents of Leeds didn’t even have a green recycling bin. 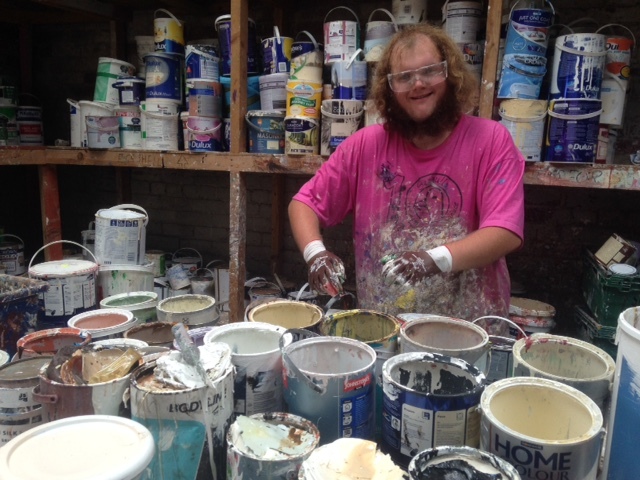 In many ways our aims are the same – to recycle paint that would otherwise be thrown out, to allow paint to buy the paint for a really cheap price and to promote awareness of recycling and re-using stuff. “We’ve learnt it all as we’ve gone along – we had no business experience and were essentially volunteers ourselves for the first few years. “”We also provide jobs and training and support to some marginalised Leeds residents, who may have learning diasabilities, or mental health problems or who are struggling to get back into the loop. We work with everybody! We have some long-term volunteers who have been with us through the years, some just come for six weeks. Some people just want to get a bit of confidence back. Often a tin of paint at Seagulls can cost perhaps a quarter of the price of a branded tin of paint in a DIY store – the tin may be a bit battered, but the paint inside is still in perfect condition. Seagulls, which featured on TV’s Secret Millionaire programme a few years ago, are also about to launch a colour bar for customers. 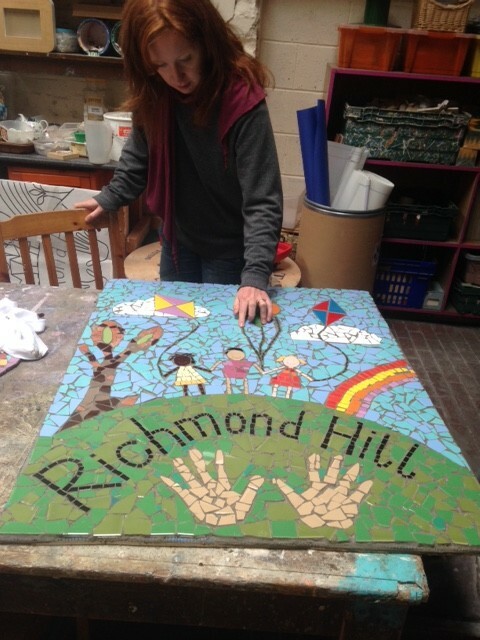 Seagulls also runs Mosaic Community Arts Project, which sees artists and volunteers teach and support local community organisations, facilitating the creation of public art. One such piece of art recently saw a mural created with pupils at Stanningley Primary School. “Before going to Seagulls I never used to leave the house. I now go twice a week, it helps to get me out and it’s the best thing my support workers ever did for me. For more information, contact Seagulls directly.